“Sadly, we’ve seen this movie played out before -- a prominent conservative targeted by liberals simply because they disagree with his politics,” said spokesman J.D. Gordon (who is the campaign’s “vice president for communications” as well as a senior foreign-policy adviser). In a rousing, patriotic speech yesterday, Supreme Court Justice Clarence Thomas accused "smart-aleck commentators" of flooding Americans with a steady stream of unjustified cynicism that trivializes and undermines the nation's democratic institutions. "Expressions of faith in the institutions often evoke snotty little comments and snotty little smirks from smart-aleck commentators and self-professed know-it-alls," Thomas told hundreds of National Restaurant Association members. It is indispensable to have constructive and thoughtful critics, he said, but "cynics passing as critics are as irrelevant as they are trivial - and they are harmful. They undercut our faith in the process that we need . . . to maintain . . . a free society and a free country." Thomas did not identify the targets of his remarks, but it was clear they were directed generally at commentators in the media. 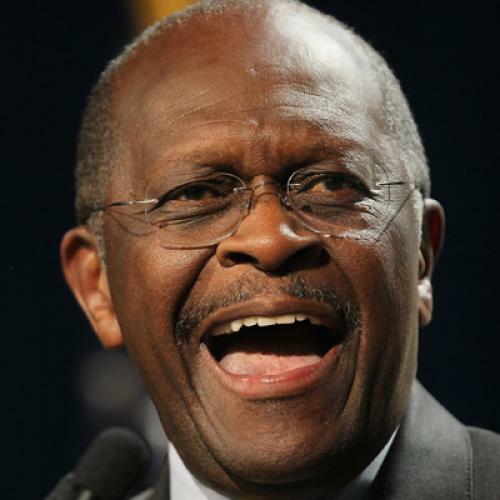 We can probably expect Cain to have a lot more to say about "smart-aleck commentators" before this episode is over. As Dave Weigel notes, Cain was eager to embrace the Clarence Thomas comparison back in May, long before these allegations surfaced, agreeing with Byron York that he would meet with as much liberal fury as that other black conservative did. "They're going to come after me more viciously than they would a white candidate," Cain responded. "You're right. Clarence Thomas. And so, to use Clarence Thomas as an example, I'm ready for the same high-tech lynching that he went through -- for the good of this country." Cain smiled broadly. "I'm ready for the same high-tech lynching." "Litigation is a big issue for the restaurant industry," says John Gay, senior vice president of government affairs and public policy for the National Restaurant Association. "It's one that the National Restaurant Association has worked on for years and always will. The idea that there's any one legislative fix that could solve the lawsuit problem--I don't foresee that ever happening." Yes, it's an issue that the National Restaurant Association has worked on for years -- more directly so than anyone knew, before today.